Sarah Schneider, ASAN’s Board Chair, works as a graphic designer and new media communications organizer for SEIU. She has worked as a labor, community, and political organizer for more than 20 years. She is active in many movements for economic justice and disability rights. Sarah advises ASAN on communications strategy and designs many of its online and print materials. She has also worked with ASAN on organizing training and leadership development in the ACI summer leadership academy. She joined the board in 2012. Sarah lives in Portland, OR with her family. American-born to immigrant parents, Morénike Giwa Onaiwu, ASAN’s Board Vice-Chair, is an Autistic woman in multicultural, neurodiverse, serodifferent family of color. Morénike, a community advocate, writer, Christian, mom, and educator, is a firm believer in neurodiversity, inclusion, and racial justice. A parent of two Autistic children, has several years of program management experience and is involved in a myriad of social justice activism endeavors including including HIV-related advocacy, disability rights, technology and learning, research, gender and racial justice, and promoting inclusion. In addition to Respectfully Connected and her blogs “Just Being Me…Who Needs ‘Normalcy’ Anyway?” and “Advocacy Without Borders” Morénike has also written for and/or been featured in numerous blogs, magazines, and other platforms. Morénike’s undergraduate and graduate degrees are in International Relations and Education. She also has a post-graduate certificate in neurodevelopmental disabilities leadership. 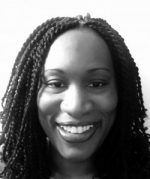 Morénike serves as a Board Member on the Autism Women’s Network, Families for Justice, and the AIDS Alliance for Women, Infants, Children, Youth, and Families and is flappingly happy to join the ASAN board. David Pate, CPA, ASAN’s Board Treasurer, is an associate with Your Part-Time Controller, LLC, where he serves as an outsourced chief financial officer to nonprofit organizations. His work with clients includes providing strategic financial management, overseeing accounting operations, developing and implementing accounting policies and procedures, coordinating and preparing for audits and tax filings, and directing proper tracking of federal and other grants. David was previously an assistant vice president of finance at The HSC Foundation. 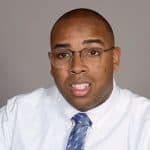 He has held financial director and controller positions at nonprofits, health care providers, and a pharmaceutical company. He also has public accounting and internal audit experience. David received his graduate degree in health care management from the University of Connecticut and his undergraduate degree in accounting from Tennessee Technological University. He is a licensed certified public accountant. Katie Miller is an Autistic adult based in Maryland. She was involved with ASAN informally for many years before joining the board. Katie also served on the Maryland Commission on Autism, including the Adult Services Subcommittee of the Commission. She was on the Maryland State team of the 2012 Allies in Self-Advocacy Summit. Katie has given public testimony at the Interagency Autism Coordinating Committee (IACC) and has spoken at several public events, including Autreat. Katie developed and taught the art program at Towson University’s Hussman Center for Adults with Autism from 2012 – 2014 and occasionally guest lectures about autism and disability rights issues. Amy Sequenzia is a non-speaking Autistic activist who loves words and writes free verse poetry. Amy also blogs regularly for Ollibean and Autism Women’s Network, and guest blogs for several websites. Amy serves on the Board of the Florida Alliance for Assistive Services and Technology (FAAST) and the Autism National Committee (AutCom) and has presented in several conferences, in the US and Canada. Reyma McCoy McDeid is the Executive Director of Central Iowa Center for Independent Living. 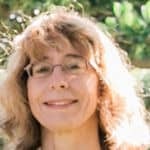 She has carved out a unique career in employment services, executive coaching, nonprofit consulting, and education. Additionally, she is the founder and Chair of Iowa Disability Votes COUNT!, a statewide initiative that works to engage voters with disabilities and educate elected officials on the issues that impact Iowa’s largest minority community. She holds a Master’s degree in Nonprofit Administration with concentrations in Business and Human Services and is working towards an MA in Education. Her vocation is supporting fellow individuals on the Autism spectrum to lead independent, fulfilling lives. Black Lives Matter. Benjamin McGann is an Autistic adult based in Northern Virginia. He is non-speaking and spells to communicate. Benjamin is a member of the “Arlington Five”, a group of non-speaking students who filed a federal complaint against the Arlington Public Schools for denying non-speaking autistic students access to the general education curriculum. His challenges with inclusion as a non-speaking individual with autism are highlighted in the recently released documentary “Boys in the Boat” developed by the George Washington University Film School. Benjamin is a Board Member of the Non-Speaking Community Consortium (NCC). Ben is a member of the Athletes Without Limits Rowing Team, and the NOVA Cool Cats Ice Hockey Team. Ben is a distance swimmer and earned a Silver Medal at the Special Olympics State Competition in 2012. Benjamin lived in Kenya as a toddler, and in Fiji as a teenager. Ben recently exited the public school system, and looks forward to studying art history, working in a restaurant, and travelling to Europe. 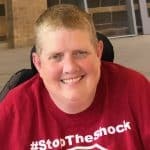 Cal Montgomery is a stubborn noncompliant trans queer autistic physically disabled activist and writer whose particular interest is disability rights. He is a survivor of long-term institutionalization who is not reliably toilet trained, has been given an intellectual disability label, has a long history of self-injurious behavior and spent many years as an adult non-speaker, although today he has intermittent speech. Cal is faceblind and never did learn to recognise his parents, and is dyspraxic. It currently takes him roughly 2 hours to dress himself, and it is a spectacularly bad idea for him to attempt travel by city bus without a companion. He is not under guardianship, much to the regret of his mother, an achievement that took no small effort. Cal is also the holder of a bachelor’s degree in philosophy, has worked as staff in a number of group homes and day programs for people with I/DD, was a contributor to the disability rights publications /The Ragged Edge/ and /Mouth/, was a presenter at Autreat for a number of years, has worked for Not Dead Yet, and is a member of ADAPT. Cal is probably best known in the neurodiversity community for his essay “Critic of the Dawn,” and for his work doing direct action and civil disobedience against the electric shock Level III aversives used at the Judge Rotenberg Center. He is best known in the independent living community for being an enormous pain in the rear end. In other words, like many autistics, Cal Montgomery is a whole lot better at some things than others and he can be hard to categorize. Cal is currently working on becoming better at friendship, a goal he chose because he likes being with other people but is not good at it. This is a goal he picked himself over the objections of a variety of specialists who would prefer he learn to order coffee at Starbucks (Cal does not drink coffee) or practice communicating about going to the toilet (toilets are not a particular interest of Cal’s). Cal likes his goal very much. A lot of people have tried to convince Cal that he would be happier if he were more normal, but he is good enough at pattern recognition to have caught on that he only experiences joy in the company of people who like him for who he is. The current understanding of disabled people as defective and in need of fixing meant that Cal had been on the Earth for a very long time before he got his first taste of joy. He would like things to be different for those who are children today.